Stunlock Studios revealed the first gameplay for the now-separate game, Battlerite Royale today. Interested parties can sign up below for this stand-alone title that will be available on Steam Early Access this September. In Battlerite Royale, players skydive from the back of a mysterious flying creature to land on Talon Island and begin exploring the lush and colorful surroundings. During fast-paced matches, players roam a map 30 times larger than a standard Battlerite arena map in order to find a variety of items and consumables, fight other players to grab their loot, and ultimately be the last one standing on the island. Earlier this week, Stunlock Studios also revealed the roadmap for both Battlerite and Battlerite Royale, which can be found here. 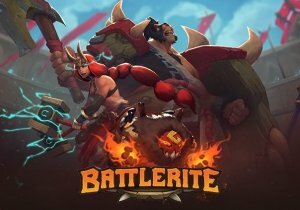 Stunlock Studios invites players to jump in their MOBA and battle royale mash-up, Battlerite Royale, for free starting December 7th. Today, Blizzard Entertainment released a set of videos for its upcoming MOBA, Heroes of the Storm.